I received a Mezuzah from a friend and the scroll only has the Torah verses on one side and nothing on the obverse. There is no “Shadai” on the back side. Do I need to make one of my own or even purchase one? I always wear a tiny gold Filigree style Mezuzah on a chain around my neck, just over an inch long and contains a tiny paper scroll which over time disintegrated. I purchased a replacement scroll which is wrapped in nylon tape or something to protect it, and I can’t see the “Shaday” on the paper through the protective layer. 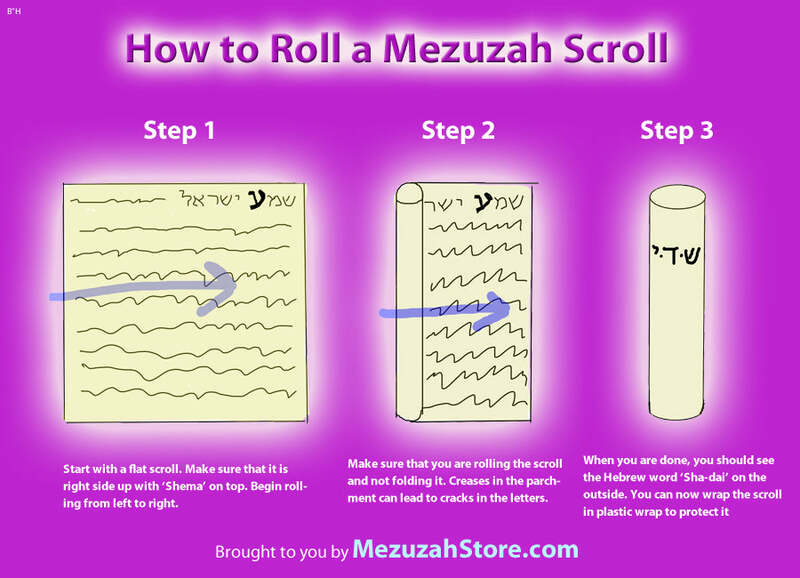 Does it matter how the scroll in installed in such a tiny Mezuzah that is worn on your person? Thanks for your help and kindness. I would be happy to do that. However, it will have to wait until I get home from work in about 8 more hours. Something sounds fishy. If you email me a photo of the scroll to Aaron@MezuzahStore.com I’d be happy to let you know what I can tell from the picture. Well, I tried to explain to my wife that there are critical differences in a Kosher and non-Kosher scroll. So, there is one obvious difference. While I realize that Hebrew is written from right to left, I do not read Hebrew. At this point it matters little, the scroll is obviously wrong and I intend to tell the proprietor of the establishment where my wife purchased it. I suppose it must have other mistakes.